Cortijo el Puerto chose the robin to represent their 100% organic Picudo extra virgin olive oil due to the birds' attraction to the biodiversity found on their farm. The oil carries myriad aromas from across the fields, like grass, tomato, green bean, almond, and wildflowers. On the palate the fruity green oil offers flavors of banana and even coffee before finding a balance of bitter and spicy notes at the finish. The complex flavors add nuance to cooked vegetables, fresh cheeses, pasta, poultry, white fish and seafood, and the oil also pairs nicely with ice cream. A brand new Frantoio olive oil from the celebrated Spanish producer. Produced from sustainably-farmed 100% organic green Koroneiki olives. 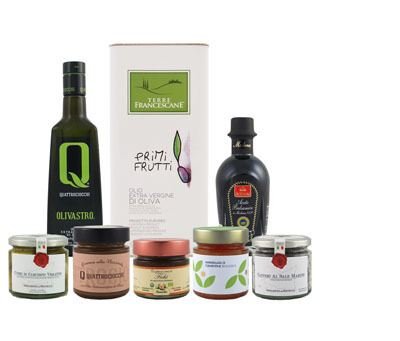 100% organic Arbosana olive oil noted for its fresh and clean aroma. An exquisite coupage from the finest organic Spanish olives.